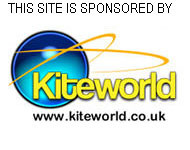 Welcome to the internet home of Kent Kite Flyers, the only general kite flying club in Kent. 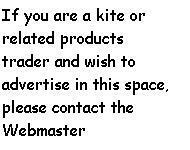 On this site you will find lots of information about kite flying in general, and Kent Kite Flyers in particular. If you are interested in coming along and giving kite flying a go, why not check out our forum to find out where we are flying. Introduce yourself on the forum or you can just come along. We're a pretty relaxed bunch and will try to make you welcome. Please don't feel shy or inhibited. Even if you have absolutely no experience of flying, we'll try to get you going, and even if you don't have a kite, we can usually find one to let you borrow. We fly all over Kent, and into Sussex, and occasionally cross the channel into France. We no longer have a permanent home, so we tend to fly wherever the spirit moves us. Weather permitting we try to fly every weekend throughout the year, unless attending an event somewhere. We usually discuss our next location on our discussion forum. So if you want an early insight into where we expect to be, or even to suggest somewhere for us to fly, why not pop over there. Alternatively, keep an eye on the upcoming events listed below, our webmaster tries to post the venue of the next club fly-in as soon as we have reached an agreement. For the 4th year we will be flying kites on the beach at Walmer. On the grass area, there will be kites for sale and also kites to make.